Video games have taken us many strange places in recent years, but Egypt? Can’t really think of any off the top of my head (save for that one Ubisoft game, I suppose). As such, it’s fortunate that In the Valley of Gods will be filling that particular gap, even if it won’t happen until 2019. Oh, and we get to play the part of a ‘disgraced former explorer and filmmaker’, of all things. What’s not to like? In spite of not knowing a whole lot about In the Valley of Gods protagonist, Rashida, at this point… I kinda like her already. And oddly enough, more because of her former partner, Zora, than Rashida herself. See, as fate would have it, the one person she (Rashida) swore never to work with again, is also the only one capable of helping her. Oh boy. Sounds like the setup for a rather interesting first-person adventure to me, complete with a 35mm camera, drama aplenty between Rashida and Zora (hopefully! ), and of course, exploration. Sweet, sweet exploration. 1920s Egypt is said to have been quite a sight after all, housing many an odd secret for those of the right mind. Color me intrigued! 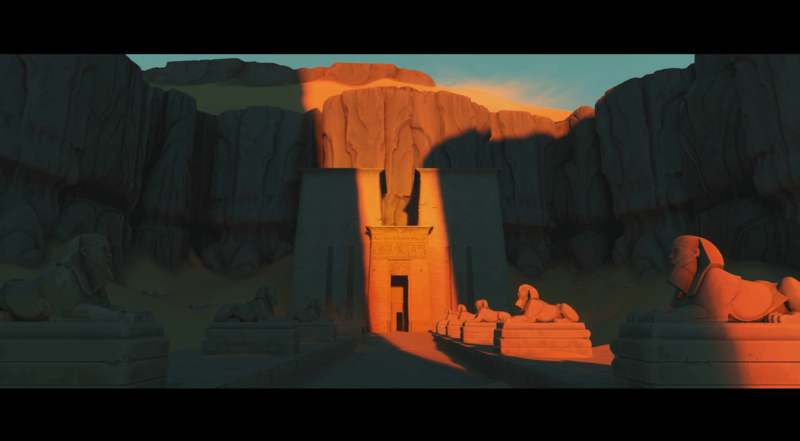 In The Valley of Gods will be available on Steam, come 2019.